Candy Infused Booze- Cause the Candy Man Can!!! This is great for Memorial Weekend… Especially since infusion has to be made at least two to three days prior. Infusing alcohol candy and creating a candy flavored drink is nothing new. However, it always has been a fun thing to do for parties and the holidays. 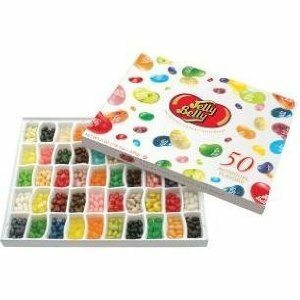 You can even create color matching with your party’s decor by separating the colors of the candy. 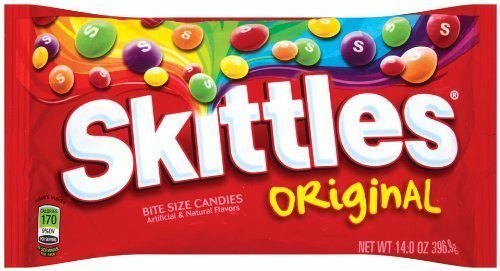 There are two colorful candies that I personally find easiest to work with…. Skittles and Jolly Rancher, however, there are many more listed below. For the recipes I will be using Jolly Rancher (Skittles & Jelly Bean candy will also use the same procedure). Blue Raspberry, Watermelon, Cherry, Sour Green Apple, Sour Watermelon, Raspberry, Wild Strawberry, Raspberry Lemonade, and Peach. Help Bring back Lemon Jolly Rancher -Unfortunately in 2004 lemon flavored Jolly Rancher was discontinued. It was one of my favorite flavors as a child. I believe that the Lemon Jolly Rancher would have made a great lemoncello like infused liqour. Another great alternative is Jelly Belly Gourmet Jelly Beans and Bertie Bott’s Every Flavor Beans. And if you are looking for a candy to use that is Kosher or Halal, then look no further….JELLY BELLY gourmet jelly beans. Bubble Gum, Cantaloupe, Chili Mango, Juicy Pear, Kiwi, Mango, Orange Sherbet, Strawberry Cheesecake, Strawberry Jam, Toasted Marshmallow, Tutti-Frutti, Wild Blackberry, Apricot, Chocolate Cherry Cake, Super Fruit Mix with Açaí Berry, Grape Crush, Orange Crush, and Pomegranate Cosmo. One 1.75 liter bottle of rhum or vodka. Do yourself a favor and utilize a reasonable priced liquor and always a clear liquor. There is no need to purchase an expensive vodka or rhum (nothing above 80 proof), but avoid utilizing rough cheap booze. Remember that the infuse liquor will still need to be mixed or shaken with something(mixer or liqueurs) to take that burn flavor from the alcohol away in your cocktail recipes. I tried to be as generic as possible on main ingredients in the infusion procedure. The purpose is that you can utilize vodka or rhum and different candies based on your personal taste, yet the process is always the same. I used Jolly Rancher Sour Watermelon, Raspberry, Cherry, Wild Strawberry, and Peach for the cocktail recipes. And as for the booze I used rhum (rum). Five empty plastic water bottles to split the liquor equally yet do not fill to the top. Also, if you do not have five containers you can purchase five pint flasks of vodka or rhum and pour into a bowl a quarter to half the liquor. 3.75 lbs. bag of mixed Jolly Rancher hard candy. Make sure to cover your work area with newspapers or plastic, I also like to use rubber gloves. When infusing with candy it can get messy and stain your surface and hands as well. Separate your candies into five groups based on flavors. Set up your Infusion Bottles and fill your bottles with approximately 6 ounces of rhum or vodka in each. Pour the candies of one flavor into one bottle, and then repeat process until you have all five bottles filled with candy and liquor. Make sure your hands are dry before handling candy. You might have to top off containers with more booze, make sure to leave room in the bottle for agitation when shaking sealed bottles. You will see that the colored candy coating has already rubbed off into the liquor quickly, but the core of the candy still have a lot of dissolving to do. Let candy soak for 48 hours (Jolly Ranchers 24 hrs.) while shaking containers vigorously 2 to 3 times a day. Once they’re all dissolved, you’ll notice a lot of white muck or other particles floating at the top (depending on candy being used). Then strain and filter liquor after forty-eight hours using a dampened coffee filters and funnel or sieve (wetting the filter before putting it into the funnel and straining allows you to retain more of the liquor). Place four to five coffee filters in the funnel or sieve over a measuring cup. Then remove top filter every time you feel the filters are clogging from the candy particles. Some colors will need to be filtered through the process twice. Then I took the liquid from the measuring cup and poured it into a clean flask using a clean funnel. Repeat this process for each flavor. In the end, you’ll have about 5 containers holding 8 ounces of candy infused liquor in each. Place finished flasks in cooler to chill before serving. Pour lemon juice and rum over ice in a tall glass. Fill with Sprite. Pour lime juice and rum over ice in a tall glass. Fill with Sprite. Add 2 oz. infused rum to tall glass filled with ice. Fill with Sprite. Add 2 oz. infused rum to tall glass filled with ice. Fill with Ginger Ale. Add 2 oz. infused rum to tall glass filled with ice. Fill with cola. Pour a small can of red bull into a tall glass. Add infused liquor and serve. Pour all ingredients with ice into a cocktail shaker and shake vigorously then strain into shot glasses. The best thing with this infusion at a party setting is to keep it simple….. Even just straight as a shooter. Thanks for sharing your post, we made sure we shared it on our main page and linked it right back to your awesome blog. Great ideas!!! We are a FAN! I appreciate it SO much! Thank you thank you! Good news, friends. There is a bag of mixed Jolly Ranchers that includes lemon! It’s got mountain berry, lemon, orange, strawberry, and pineapple. It’s a new packaging in a resealable bag.